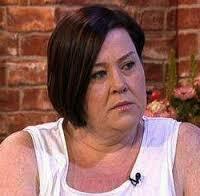 WHITE DEE ~ SHE’S NOT SO WRONG! It’s usually agreed that the two subjects never to raise at the dinner party table, are religion and politics and I for one can’t usually find the enthusiasm to discuss either, as I would probably be sent to the gallows, or find myself redirected down, instead of up when it comes to the heaven/hell bound afterlife lift. However, I’m dipping my toe in the murky political waters, and offering up an observation about a couple of people who have made headline news for very different reasons over the last week or so. There will be no flowery words, nor are my observations based on any indepth political knowledge. It’s just the thoughts of little old me. 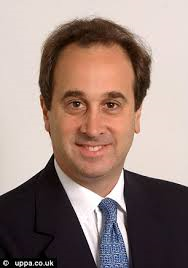 Brooks Newmark, ah yes, that name might ring a bell with you. He is the Conservative MP for a town very near to where I actually live and as such, I’m presuming, was elected to represent the members of his constituency, listen to their concerns, and act upon them to the greater good of all concerned. He was also the MP caught out in a journalist sting, when he took the questionable decision to allegedly expose himself on camera to who he thought was a young female admirer, whilst wearing some natty paisley pyjama’s. Never a wise selfie for a Politician really. Accordingly Mr Newmark has resigned from his ministerial post as Minister for Civil Society, which is rather ironic as I don’t consider showing your dangly bits on a webcam, particularly ‘civil’ behaviour. But hey we’ve all got a dark side I guess. But regardless of all this, I feel in retrospect that to stand as an MP for the particular constituency which he still represents at the moment, was another of his questionable decisions..
What on earth was HE thinking? Let’s just quickly look at his credentials. Mr Newmark reportedly lives in a £15 million home in London, he has major connections with Lehman Brothers, and counts amongst his friends the US Secretary of State John Kerry. Yes I can see that he has lots in common with his constituents in Braintree, one of the least affluent market towns in Essex, and where one of the highest number of single parent families reside, mostly in housing association properties, not to mention it’s extremely high rate of unemployment. So how can this privileged man possibly identify with their problems and issues is truly beyond me. In 2010, Brooks won the newly configured seat of Braintree, increasing his majority to 16,121. As part of the new Coalition Government, Brooks was appointed a Senior Government Whip with responsibility for the Department of Business and the Wales Office and later was given responsibility for the Department for International Development (DFID) and the Office of the Deputy Prime Minister until September 2012. During this time, Brooks was a Lord Commissioner of HM Treasury. At the end of 2012, Brooks was elected to the Treasury Select Committee. One wonders how much empathy he can genuinely show to Mr Average Constituent, at his ‘surgery’, and how do they actually relate and engage with him, during their allotted appointment. How can he possibly understand the problems that must have regularly been brought to his blue door. I do appreciate that it’s horses for courses and the population of Braintree will gravitate towards which ever MP they have sworn allegiance to, but for the residents of Braintree, I fear his latest quote….. ‘I hope people will balance the good I’ve done for the community over the years, with a foolish thing I did one evening’…. , will fall on deaf ears. No chance mate, I think you may well be joining the ranks of the unemployed sooner than you think. The people of Braintree are an unforgiving lot, and I predict a surge for UKIP in next week’s by elections, and you’ll be out in the cold with nothing but your jim jams. BUT, on a different note, despite her dubious qualifications, another person who probably COULD represent the aforementioned town much more effectively has also hit the headlines this week for a more positive reason and is non other than Deirdre Kelly, better known as ‘White Dee’, who, at first glance is a very in your face kind of woman, however, here is how she enlightened the Tory Party Conference, and in my view, by jove she’s not wrong. Dee said that the Welfare and Pensions Secretary was “out of touch with the real world”. “[Running for parliament] is something I would think about, but obviously I wouldn’t object to starting at the bottom – I wouldn’t want to go straight in and have David Cameron’s job. “I have experienced some not very nice job centres,” she said. “You do just go in, you sit down, you are looked down upon. Do you agree with some or all of her observations, or is she just a gobby cow who should get herself back to her Benefit Street and take her opinions with her! ← TINDER ~ MADE ME SEE RED!